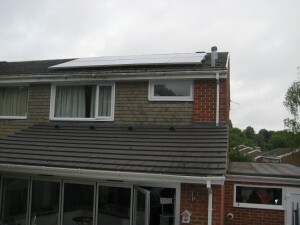 This is our best example of a PV installation where you can see everything that comes with it and find out if it works. We first discussed solar panels over ten years ago. I remember feeling excited about a Guardian article which explained how the technology was advancing at such a pace that its potential for mass domestic application was more of a reality than ever before. Nonetheless the experience of journalists testing out the market suggested that there was still very little choice, and – more importantly for us – still a minefield of information to plough through that only a sophisticated environmental scientist could begin to understand. We are neither scientists nor environmental experts. Publicity about solar panels steadily increased and a couple of years we finally invited along to our house a representative of a well- known provider in the Bournemouth area. Unfortunately we received a heavy sales pitch, misleading projections of future electricity prices and then a ‘buy it now’ price that was unaffordable. As green as we wanted to be, we concluded that solar power was for people richer than us. Then the last government introduced the feed-in-tariff (FIT) – essentially a subsidy for investing in solar power – and newspaper articles began showing how it made investment in panels affordable. One year ago we took advantage of local networks and initiatives such as the Greening Fulflood campaign and WINACC and obtained the contacts of a family which had taken the plunge. The family shared their experience of the workings of the FIT, including how it was paid through interaction between the OFGEM and electricity suppliers, as well as the practical detail of where the panels and all their equipment go and whether or not you need planning permission (you don’t unless, except possibly if your house is listed or protected in some way). In short it was hugely informative and spurred us on. We subsequently investigated more providers and shortlisted five on the basis of criteria such as price, proximity to Winchester, length of time in business and recommendations. Three came to our house to make a full assessment, answer questions and gather the necessary information to make a quotation. We looked at the cost, ran a spreadsheet and realised it was true: thanks to the FIT, solar panels were now a green investment where we should get our money back within 10 years and make a modest return over 25. Our final analysis and ultimate decision on supplier was based not only on price, but also our overall impression of the service they had given, information provided and responsiveness throughout the quotation process. We are now the proud owners of ten photovoltaic panels (1.85 kilowatts total) and have taken in an instantaneous electricity output reading as part of our home. Some might think we are solar bores. There is a plethora of gadgets which can be purchased (for extra of course) to monitor output – some have satellite links which map their output to software you can load onto your PC. I assume there is an app available too. We kept to the simple devices that came with the panels, but do enjoy monitoring the extent to which, on a particularly sunny day, we can run the dishwasher and the washing machine on pure solar and therefore without dipping into the national grid; but then again feel horrified when we put the kettle and find it just cannot run on pure solar power even on the sunniest of days! It makes you think about that second cup of tea. 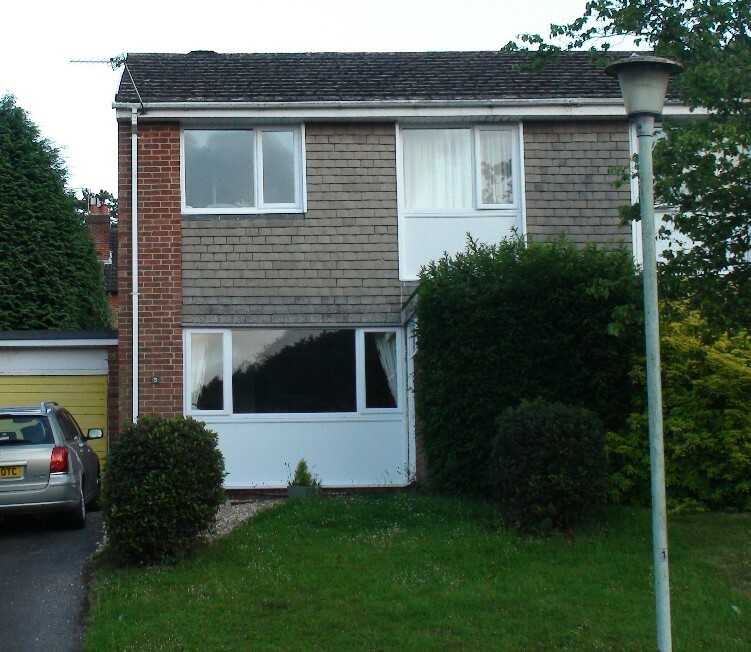 We did it because in reality there was not much more we could do to ‘green’ our property: we have insulation in the roof and walls, double glazing, a condensing boiler, thermostatic radiator valves and low energy bulbs. However we recognise that what we have done is a real privilege. A privilege because we happen to have bought a house with a south facing roof and at a 30-40 degree pitch (the optimum for solar). A privilege also because we had some money we could invest for this period of time. Prices continue to come down. In the 9 months it took us to make the final decision, the cost of the quote from one company came down by £500, and the output of the panels went up. The FIT for new purchases will start to come down every year from April 2012. But you do not necessarily need to feel pressured as the panels are getting so much more efficient that the subsidy may work out even better as time goes on. Eventually of course we should be able to afford solar without subsidy, by which time we might be able to boil our kettle with one A4-sized panel.